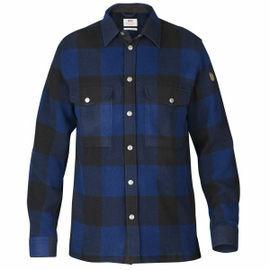 The Fjallraven Canada Shirt is a classically-styled lumberjack shirt in a warm, soft, yet tough wool blend. Thanks to its durable build it can be worn as an outer shirt jacket when working outdoors, or as an insulating mid layer in colder weather. 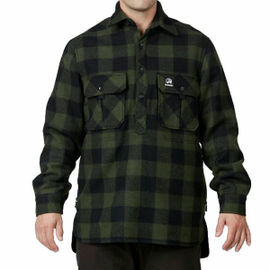 The Canada Shirt is made from a strong, insulating functional wool blend. 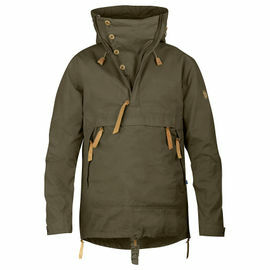 This is complemented with a lining at the seams of Fjallraven's classic G-1000 material. 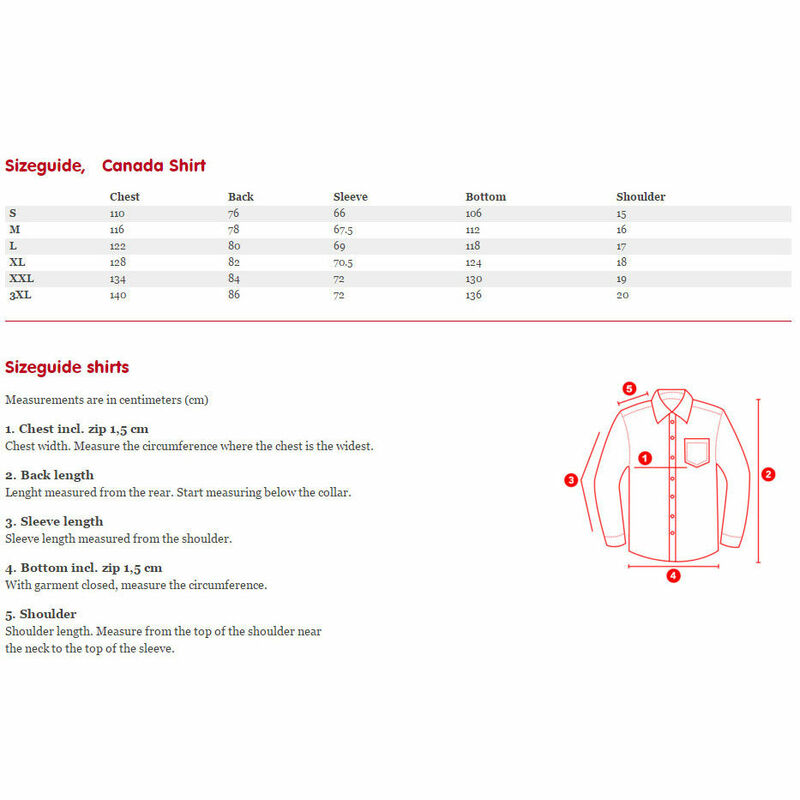 The Canada Shirt features press studs on the full-length opening, cuffs and pockets. The two chest pockets have been placed lower than normal, to allow easy access. This item is out of stock in 3 sizes. To be notified by e-mail as soon as new stock is released in a particular size, please sign up for a restocking notification below. 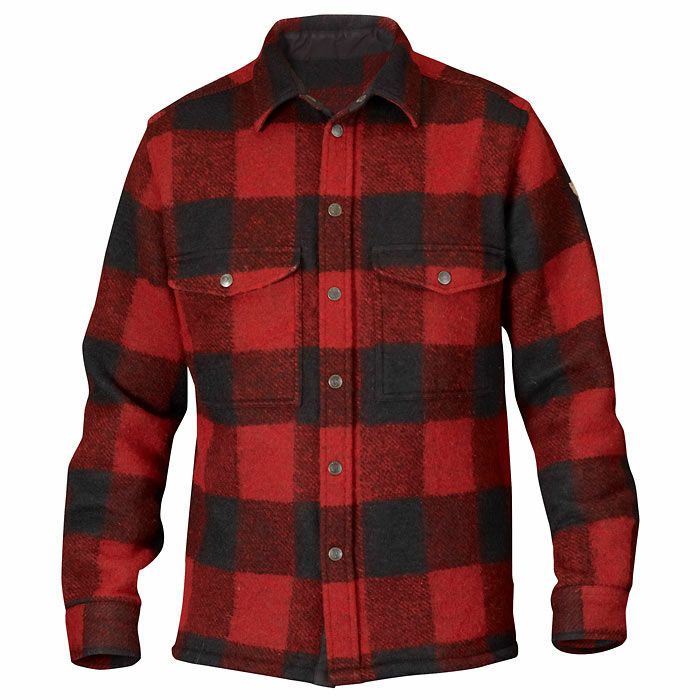 Fjallraven Canada Shirt - Red is rated 5/5 based on 12 customer reviews. Superb winter shirt. Very warm with just a tee underneath, top with a waterproof shell when required. I'm a 42 inch chest and the large is a perfect fit. Excellent service, ordered at 13:00 on Thursday and delivery was the following day. Very prompt delivery of a high quality shirt, very happy with item. Am 6 foot tall and 18 stone +, and the XL I bought was ample enough as a shirt. From the pictures I formed the impression that this was a big, rugged, heavy piece of kit, suitable for Desperate Dan or perhaps a grizzly bear. When it arrived, it did not disappoint. I have only worn it in the pub but it would keep you warm if you were adventuring in the Yukon. This is not the kind of shirt you would tuck into your trousers. Not very comfortable worn next to the skin. I was absolutely delighted when I received this shirt. The quality and attention to the small details make this a truly superb item of clothing. It will be well worn over this winter. Can’t rate it highly enough. Great quality, very comfortable. Woukld thoroughly recommend it. Wanted a smart high quality shirt to replace my 20 year old RM Williams shirt. This item fits the bill perfectly. Highly functional, very warm, extremely comfortable and looks great. Highly recommended. I want a blue one next. Hopefully Woodlore will stock one soon. Superb bit of kit. The item says it is size 44-47 but I'm a 48-50 inch chest and it fits perfectly. 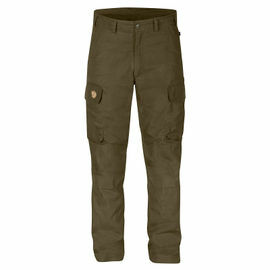 Fjällräven clothing is expensive but fit for purpose and worth every penny. Love this shirt. 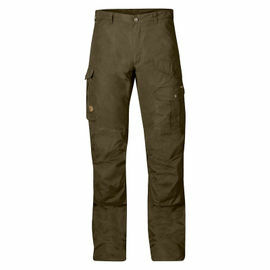 It has become my winter go to item, lovely and soft, nice and warm and top quality as you would expect. Not cheap, but worth it. Excellent shirt - well constructed with a relaxed fit and very comfortable. I have two sizes in this shirt. 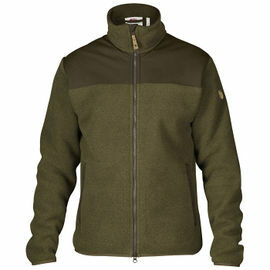 A large which I wear over the forest fleece jacket for when the weather gets bitingly cold. 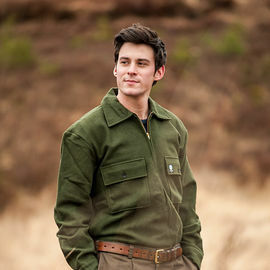 A medium for wear over a merino Henley base layer for everyday autumnal wear out in the field. Expensive? Yes, but good quality. As this shirt was out of stock in the Winter months, I had to buy it in June. Certainly too hot to wear right now so I cannot comment as to its colour fastness/shrinkage. But what I can say is that Im waiting for Winter! And as a fit note - Im 6 feet 4 inches, 44 - 46 inch chest and the XL fits fine. I will certainly buy another in the Uncle Blue colour when stock is available.